We offer expertly curated rental collections for events. Yep, down to the details. 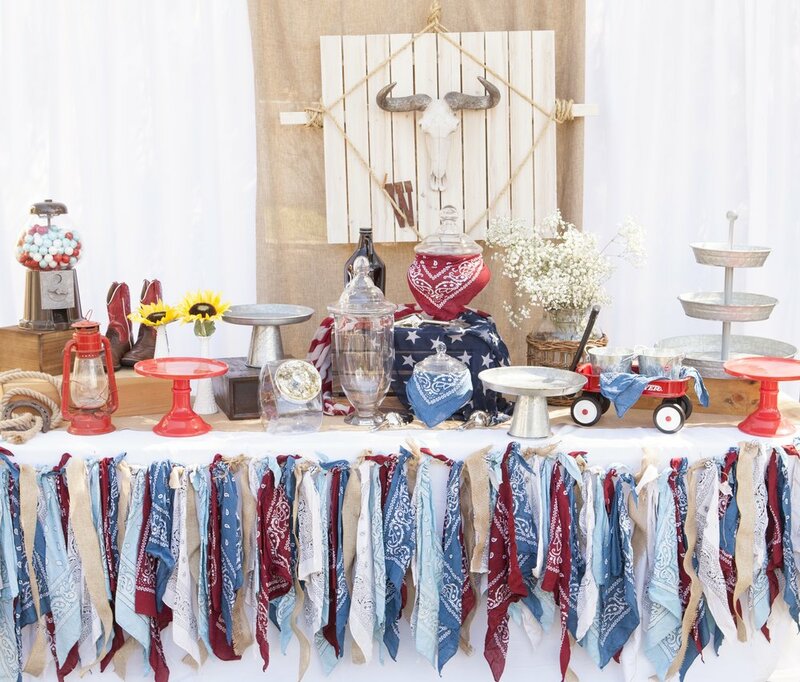 Includes a bandana table skirt with a white tablecloth and burlap runner. 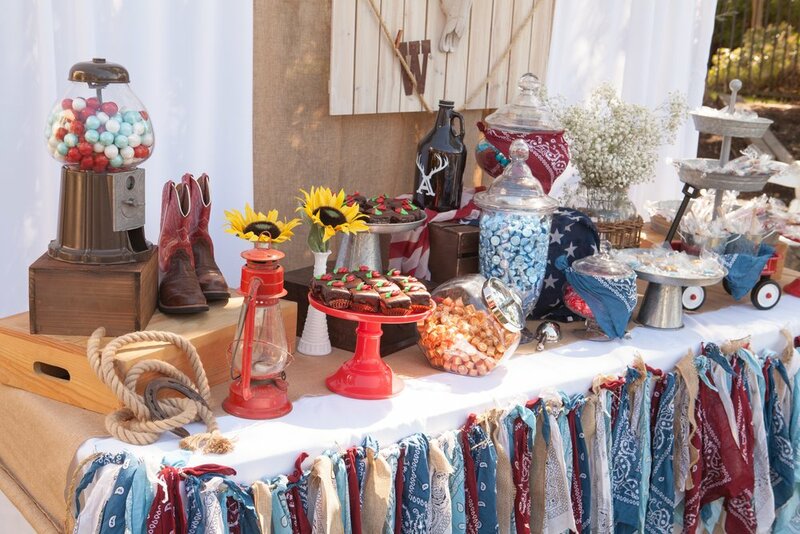 Galvanized platters, red cake stands, wooden crates, cowboy boots, red wagons, and country florals make for a perfect western roundup for your food display! This collection offers a variety of galvanized metal and colorful cake stands for your dessert or food displays. Each dining table will feature a bale of hay in a custom made centerpiece, complete with sunflower arrangements and western accents. Burlap runners will add a rustic touch to every table. 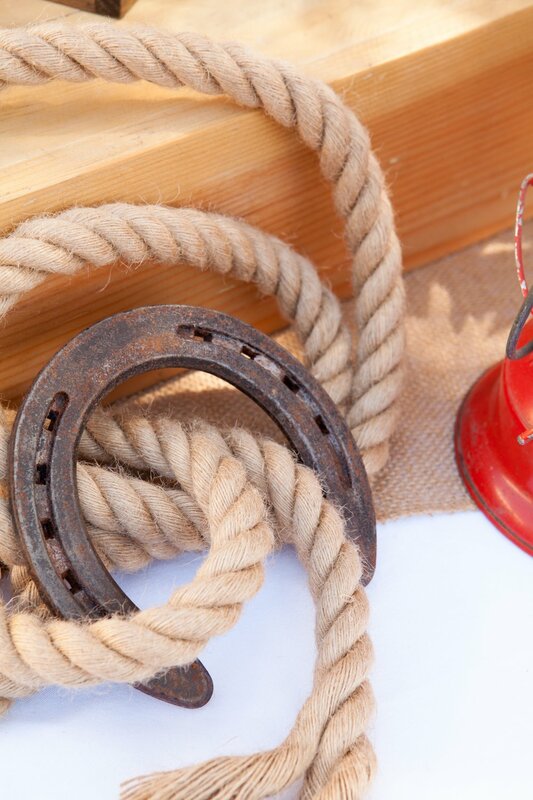 No Wild West party is complete without a ring toss and bull wrangling set-up. 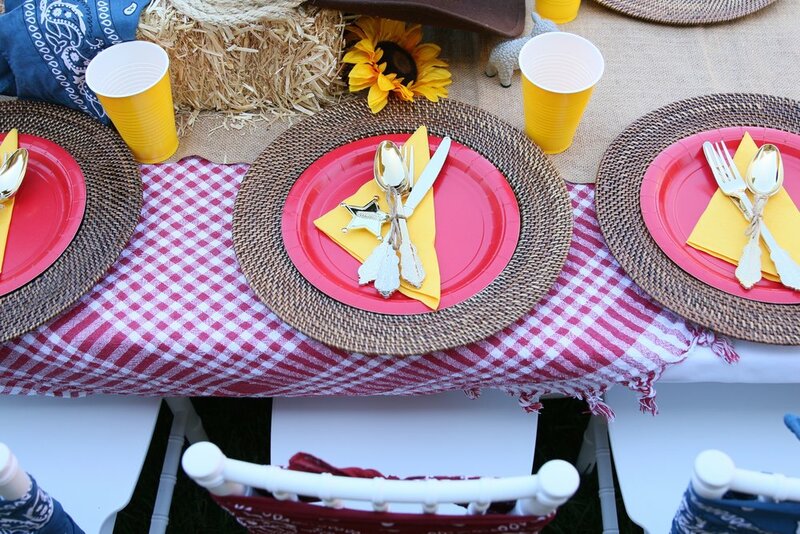 An assortment of gingham table overlays to pair with the white tablecloths and burlap runners. 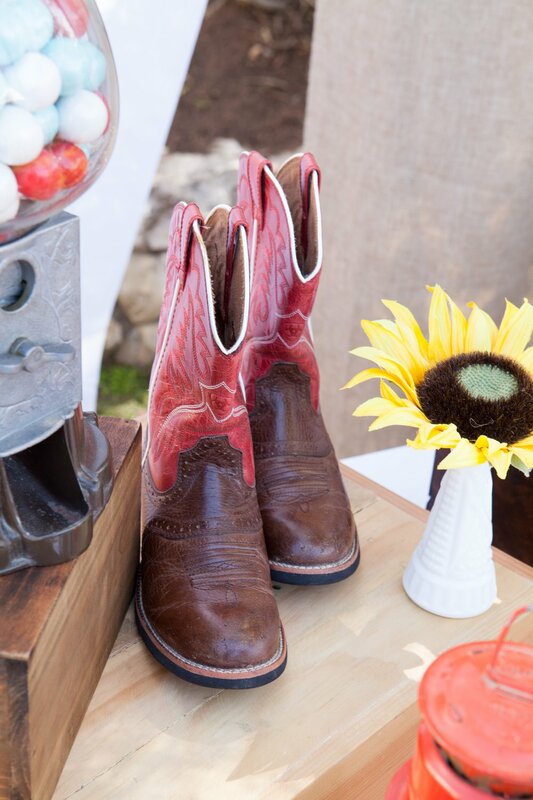 Country western accents for any table. 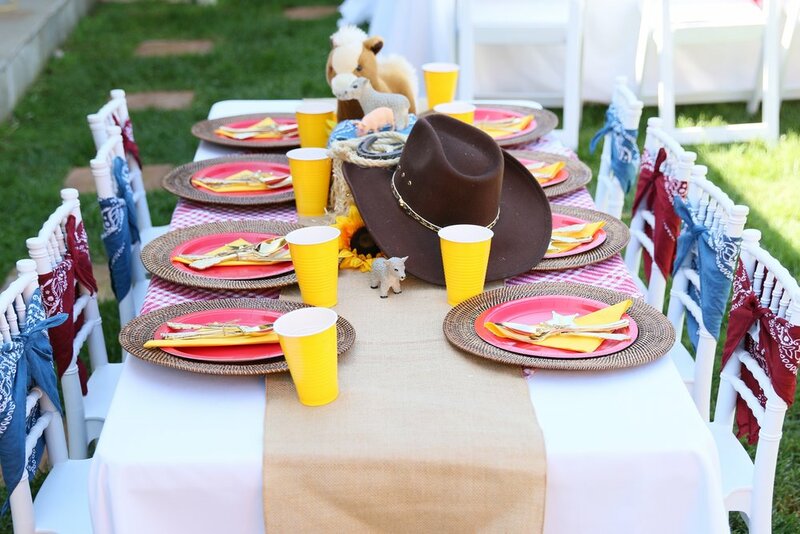 Kid sized table with kid appropriate Western table decor, including cowboy hats and barn animals. Kid sized chiavari chairs with colorful bandanas also an option! A perfect country touch to any backdrop. A wood planked backdrop sets the tone for your dessert table or photo station! Place setting options for both casual and more formal events!